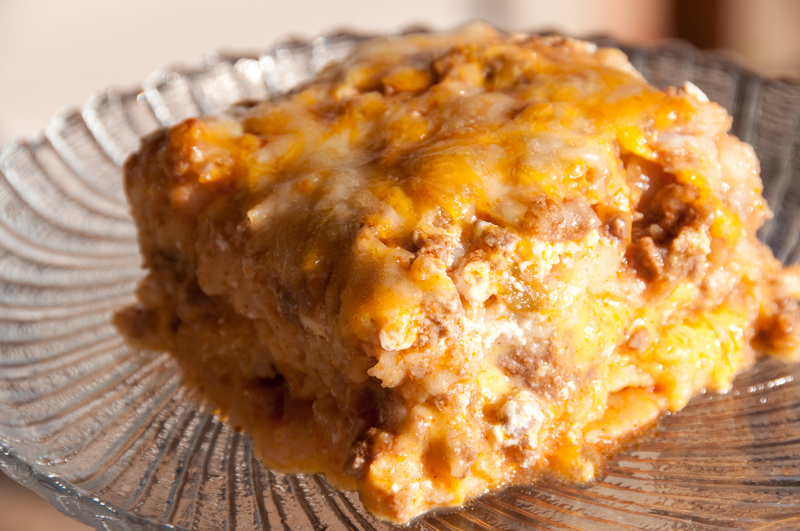 A Week of Casseroles – Mama, Can I Lick the Spoon? I’m up at 5:30 on school mornings. I get up, get dressed, and head to the kitchen where I pack lunches for the kids and myself, start breakfast, and either prep dinner or put something in the crock pot. I wake the kids at 6:30, make sure they are dressed (in hopefully presentable clothing) and fed, and then we’re off. On mornings when Michael is home, he takes The Boy to his middle school. When he’s out of town, I take him before heading to my own school. Right now, The Redhead goes to school where I teach, so she rides with me. We arrive at my school at 7:30 and I sharpen pencils, assess needed supplies, and make sure my room is ready for all the classes that will come through my doors that day. I teach music and art, so there is quite a bit of set up involved. The Redhead generally studies and fixes her hair. She discovered long ago that fixing her hair at school meant that she could sleep for an ten extra minutes, so that’s what she does on most days. Kids start arriving at 8:05, announcements are at 8:30, and my first class arrives at 8:45. I teach all day long – kids from kindergarten through fifth grade. The kids leave at 3:30, but teachers do not. I have duty every single day in the lobby where the car riders sit until their parents come. We have about 250 car riders at our school, so the process takes a while. On Mondays at 4:00, we have faculty meetings, which last at least an hour. On other days, most teachers work for a while after kids leave – just so they are prepared for the next day. And then there are the after-school activities that our kids participate in. Yes, I know, that’s not just teachers’ kids. It’s everybody’s kids. Dance on Mondays. Church on Wednesdays. Football practice every day after school for The Boy. The Redhead works with a trainer a couple of days a week. The Boy works with a trainer after football season is over. Oh, I know we’re not alone in this. I have friends whose kids are involved in more things than mine. Soccer, gymnastics, cheer, baseball, softball, piano, guitar, art lessons…the list goes on and on. When we finally drag in at the end of the day (rarely before 5:00), there’s homework to contend with. And there seems to be a lot more of that now than when we were in school. Homework, research papers, essays, memoirs, projects. I didn’t like doing my own homework and now I’m helping do someone else’s? I wish zero teachers had to instruct all day then go home and oversee their own kids’ homework. That is just asking too much. Let’s call a teacher managing her kid’s science fair project at 7:30 pm what it is: a tragedy and impending meltdown. Stop it, universe. She’s done enough. There are nights when both kids have homework in every subject! Some things can be done independently, but somethings must be overseen. Closely. Somewhere in the middle of all of that, dinner has to miraculously appear on the table. And, yes, sometimes, we eat in the living room just because the kitchen table is covered with homework and we aren’t finished with it yet. Sometimes we eat and then leave again go to an activity. It’s crazy. Because nights like these are far too plentiful, I try to “cook ahead” during the summer and on weekends. There are lots of recipes that I always double just so I can freeze a batch for later. These are a few of my make-ahead-and-freeze meals that I make in the summer so I don’t have to cook as much once school starts. These were all created to fit into 9X13 pans. If you’re cooking for a smaller, less hungry bunch, use 8X8 pans and you’ll get a two-for-one deal! Preheat oven to 350 degrees. Mix all ingredients in a bowl. Pour into a 9X13 pan and bake for 1 hour. *If freezing, cover tightly with plastic wrap and then with aluminum foil. Place in the refrigerator to thaw in the morning. Remove foil and plastic wrap. Bake until bubbly. Cook chicken breasts in salted water until done. 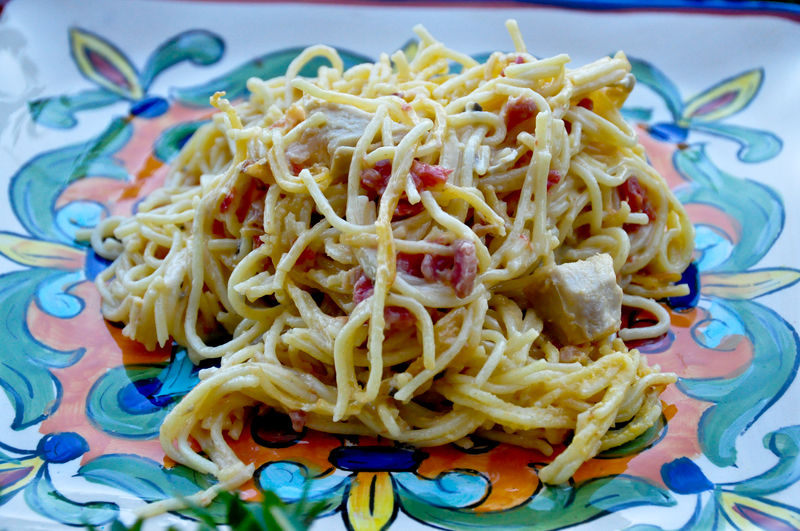 Remove the chicken from the water and add the spaghetti to the same water. I usually break the spaghetti so that it’s easier for my kids to eat it. Cook the spaghetti according to package directions. While the pasta is cooking, cut the chicken into small cubes. Drain the cooked spaghetti completely and return to cooking pot. Stir in chicken, Rotel, soup, cheese, and bacon (if using), letting the heat from the spaghetti heat the remaining ingredients. Serve warm or refrigerate for later. If refrigerated or frozen, cook at 350º until bubbly. Preheat oven to 350 degrees. Sautee onions in a little olive oil until they are soft and translucent. Add all other ingredients except cheese and tortillas and stir until combined. Simmer over medium heat until bubbly. Add cheese and stir until melted. Ladle a small amount of mixture into the bottom of a large baking dish and shake dish to make mixture coat the bottom of the pan. Place a layer of tortillas, followed by a layer of the mixture. Continue layering, ending with mixture. Bake for 1 hour. Remove from oven and allow to sit for 15 minutes before serving. Preheat oven to 350º. Sautee onion in olive oil until transluscent. Add chicken and cook until heated through. Add peas and carrots and soup and stir in whipping cream. Cook on medium high heat until thickened. Pour mixture into a 13X9 baking dish and top with biscuits. Bake for 30 minutes. Remove from oven and brush biscuit tops with melted butter. Wait 10-15 minutes before serving. *If freezing, do not top with biscuits! Cover tightly with plastic wrap and then with aluminum foil. Place in the refrigerator to thaw in the morning. Remove foil and plastic wrap. Top with biscuits and bake until biscuits are browned. Brown ground beef with onions until meat is done. Add spaghetti sauce and cook until heated through. Add cream cheese and stir until melted. Add spaghetti to this mixture and stir to mix all ingredients together. Place half of spaghetti/meat mixture in a 9X13 pan and top with half of the shredded cheese, half the sour cream (in little dollops), and half the olives. 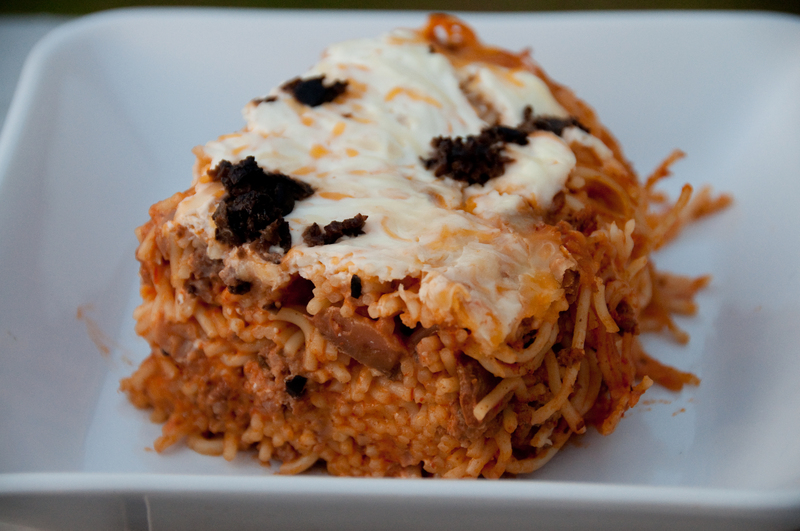 Layer the other half of the spaghetti mixture, cheese, sour cream, and olives. Bake at 350 for 45 minutes. Brown ground beef with onions until meat is done. Add spaghetti sauce and heat through (It will seem really “liquidy” but that’s okay. The noodles will need the moisture!). Put a little of the mixture in the bottom of a 9X13 pan and swish the pan to coat the bottom. Place a single layer of lasagna noodles in the bottom. Spread with about 1/3 of the ricotta and 1 cup of the cheese. Top with about 1/3 of the meat mixture and then layer the same. 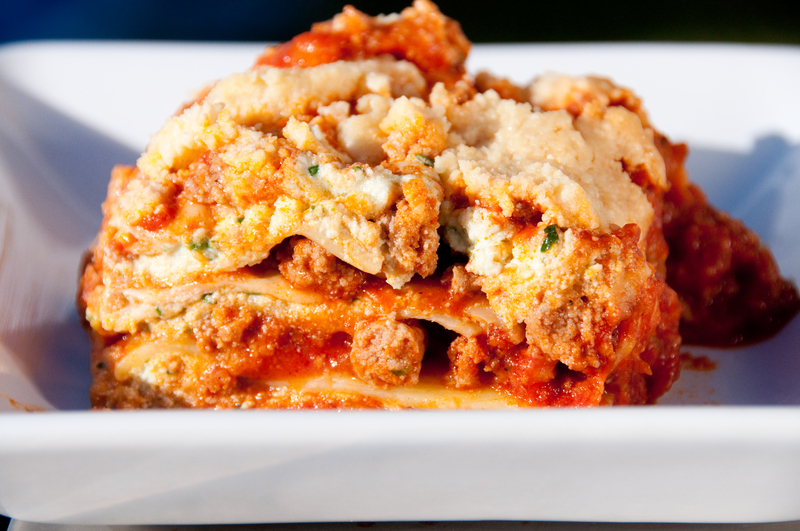 Your layers should be: thin layer of sauce, noodles, ricotta, mozzarella, meat sauce. 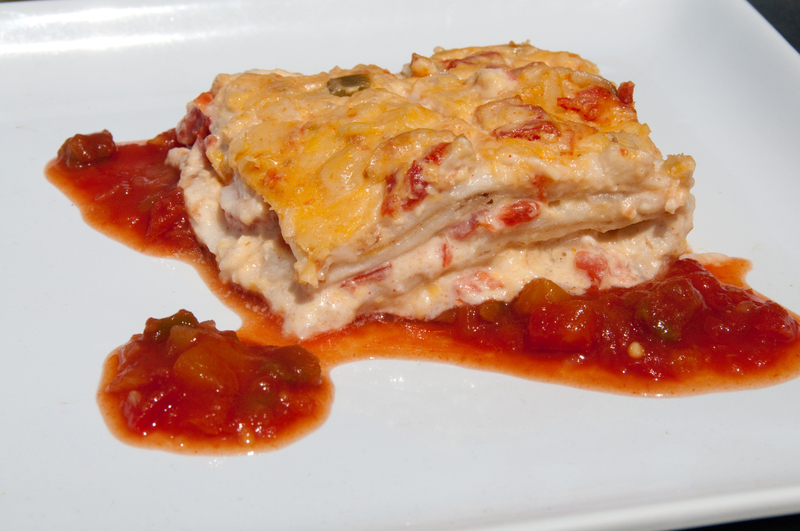 Keep layering until you have used three layers of each ingredient, and then top with remaining cheese. Cover with aluminum foil and bake at 350 for 1 hour. Let cool for 20 minutes before serving. *If freezing, cover tightly with plastic wrap and then with aluminum foil. Place in the refrigerator to thaw in the morning. Remove plastic wrap and replace foil. Bake until bubbly. Brown ground beef with onions until meat is done. Stir in enchilada sauce and chilies and heat through. Put a little of the mixture in the bottom of a 9X13 pan and swish the pan to coat the bottom. Layer in: tortillas, meat mixture, 1 cup of cheese, tortillas, meat mixture, 1 cup of cheese, tortillas, and meat mixture. Spread the top with sour cream and remaining 1 cup of cheese. Bake at 350 for 1 hour. You’ll be so glad that you have these waiting patiently in the freezer until you have a long, exhausting day and don’t feel like cooking! Tk you Felicia! 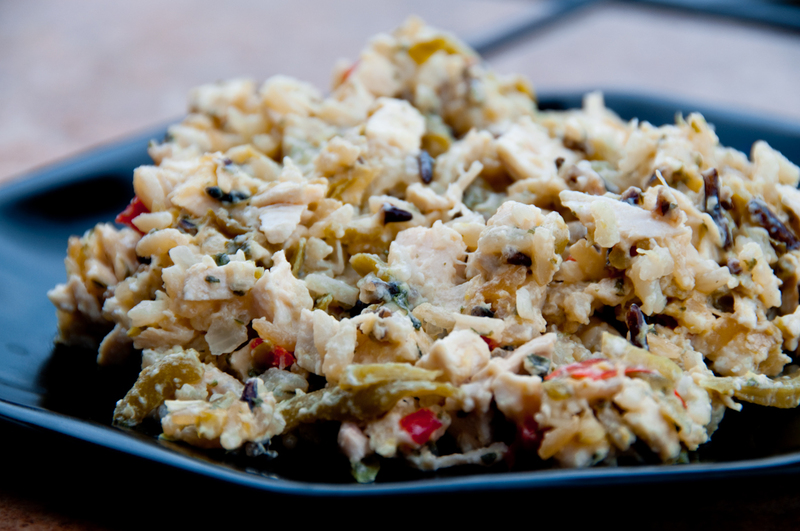 My question….curious how you “cook” your chicken to prepare it for the dishes? Melissa – I boil them in salted water. In fact, almost every Saturday, I boil at least one bag of chicken breasts, cube them, and store them in the fridge in a big ZipLoc. That way, I can just go get a couple of scoops when I need chicken for a recipe. Huge timesaver! You are Awesome!!!!!! Thanks for the recipes! I will for sure be cooking up a storm next week in preparation for the start of school, which is all too soon!!!!!!!!!!!!!!!! You have a Mexican casserole in the old beech springs cookbook, I think. It’s a beef casserole that you layer with beans. Top with crushed Fritos. Can that now be made ahead & frozen? Oh, wow! I haven’t made that one in forever! Yes, you can freeze it, but don’t put the Fritos on until you thaw and start to bake. LOVE this! I’ve been wanting to stock pile my freezer with meals, but I just didn’t know where to start. Here it is! =) I love that you instructed HOW to freeze then cook because those 2 things are my biggest concern. My fear is to freeze several meals only to have them ruined because I didn’t freeze, thaw or cook properly. Thank you!! Crispy Spicy Baked Shrimp | Mama, Can I Lick the Spoon? 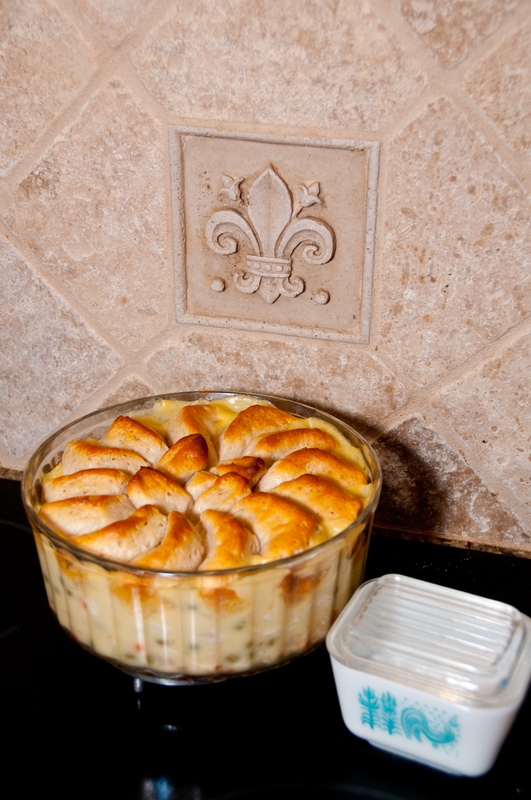 Creamy French Onion Chicken Casserole | Mama, Can I Lick the Spoon?